New album dropping in October from Mock n Toof! This new Acid Soul mix from BIJ resident Leftside Wobble is really working for us right now! 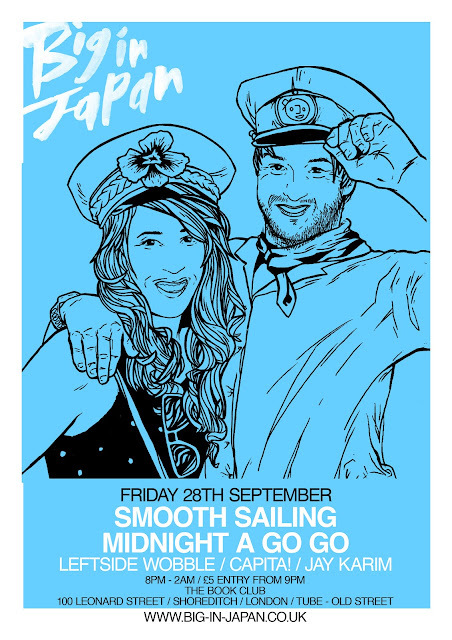 Some brilliant tracks in there to see you through the week and hopefully down to the party this coming friday where Leftside Wobble will be playing alongside Smooth Sailing, Midnight A Go Go, Capita! & Jay Karim. Don't go missing it now! 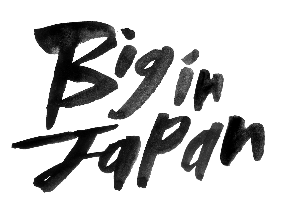 Our pals Lisa & Alex of Smooth Sailing have kindly offered us this exclusive Fleetwood Mac edit to host as a Free Download to mark their upcoming set at Big in Japan this friday September 28th at the Book Club in Shoreditch, London. Something tells me this will go down a treat on friday! Got my hands on a copy of the new ISM records album of Mexican New Wave last night - Mexican new wave you ask?! Well Andy Williams aka Yam Who? 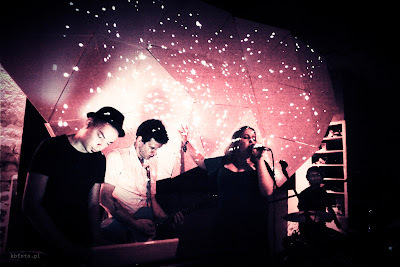 of ISM gives Pulse radio the lowdown in a exclusive interview which gives you a bit of a insight into the scene but for the real deal you need to head down to the Queen of Hoxton this coming Saturday where they launch the album with a host of guests that include The KDMS ft. Kathy Diamond Live! Dead Rose Music Company, Toby Tobias, Electrique Music, Dom Chung, Minkioni, Yam Who?, Electric Boogie. On the night there will also be a Mexican Rooftop BBQ & Free drinks courtesy of Corona! 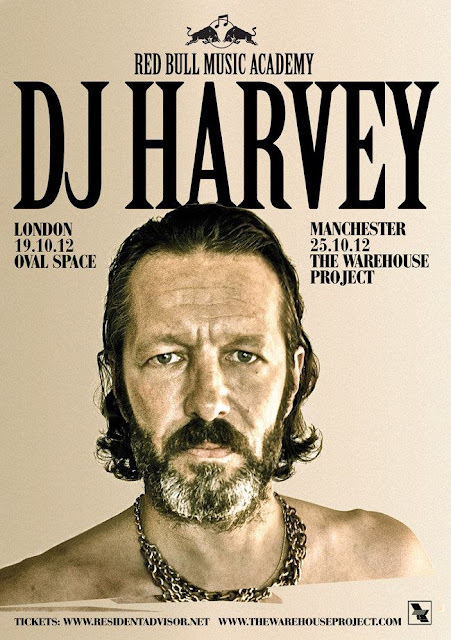 Just bought my tickets to see DJ Harvey at the Oval on the 19th Oct for RBMA! boom! Will sell out very soon so get yours now crew - we need a strong team sheet for this one! Gutted we missed Bestival this year - Sounds like it was a fun one! 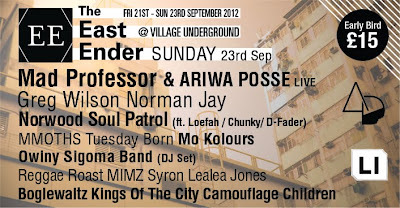 We are pleased to announce that we have been asked to present the sunday session of the East Ender 3day festival at Village Underground..
East Ender is a three day arts and music micro-festival celebrating East London’s artistic heart and soul from Friday 21st - Sunday 23rd September. We welcome’s back loved ones for one last summer ﬂing. The East Ender Festival is a home coming celebration for all East London’s residents and artistic talent. After travelling around festivals and gigs across the country and abroad, The East Ender Festival welcome’s back loved ones for one last summer ﬂing. Over three days The East Ender Festival will place some of the best emerging talent alongside some of the greatest and most inﬂuential living legends. This is East London’s summer closing party. Village Underground & Holywell Car Park will host a line up which incorporates a diverse range of styles from hip hop, to leftfield electronic music to dub reggae. The festival’s open air art gallery will provide an expressive space for local artists and crafts people to exhibit and expound their work. 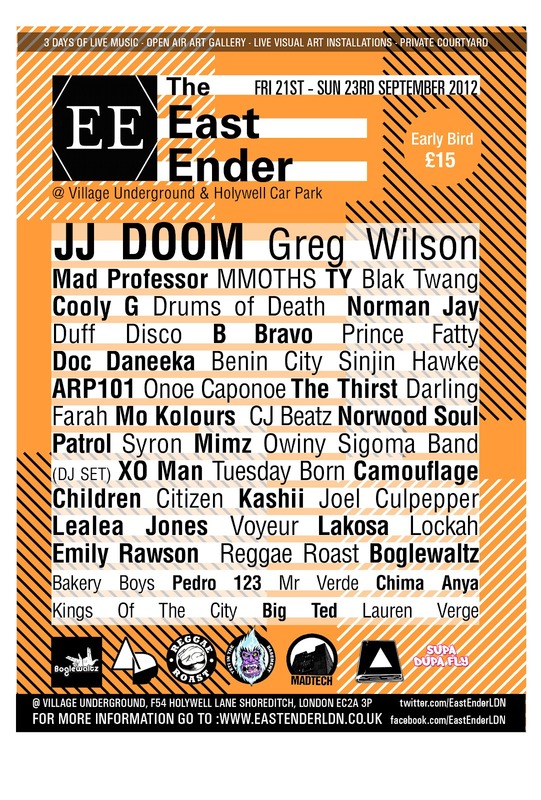 The East Ender Festival will host a myriad of music and visual arts, embracing a selection of artistic disciplines, which includes a stellar line-up from hip hop’s ﬁnest JJ Doom (featuring MF Doom), Drums of Death, Norman Jay, Blak Twang, Mad Professor, Cooly G, Norman Jay, Prince Fatty, TY, B Bravo, Sinjin Hawke, The Thirst, XO Man, Joel Culpepper, Bakery Boys, Mr Verde, CJ Beatz, Kings Of The City, Camouflage Children, Chima Anya, Mimz, Syron, Emily Rawson, Lauren Verge, 7oel, Lealea Jones and hosts including Reggae Roast, Supa Dupa Fly & Boglewaltz to name but a few. The festival’s open air art gallery will provide an expressive space for artists to exhibit, while a collection of local artists will produce live street art and outdoor art installations in a range of mediums. In it’s ﬁrst year, this boutique event is a great day out to check see the local talent and support the creative community. The Dead Rose Music Company - Tonight (OOFT! Remix) // Let's Play House Rec. Nice remix from Ali OOFT! of DRMC's new track Tonight. 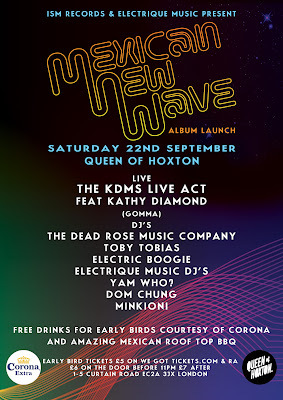 DRMC play's the Mexican New Wave release party at Queen of Hoxton on the 22nd september alongside The KDMS live featuring the awesome Kathy Diamond. Looks like a cracking night with a top line up, rooftop BBQ & complimentary drinks courtesy of Corona when you purchase advance tickets. John Talabot offers up a free track via Annie Mac presents Free Music Monday. This track 'Missing You' is from his amazing album 'fIN' - Which we cant recommend enough. I have a confession... i religiously watch Eastenders. There i said it! 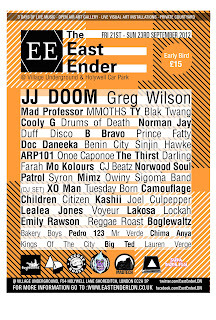 No shoddy acting, bad story lines or crack head mitchell's at this one though - London's East Ender 3day festival at village underground takes place Friday 21st - 23rd September and features a superbly stellar line up that includes Drums of Death live AV show, MF Doom live but we're super excited about the Sunday line up which features previous BIJ guest Greg Wilson alongside Norman Jay, Mad Professor, Mmoths and a whole lot more..
Take your fancy?.. Well we have kindly been offered a pair of tickets to give away to one lucky winner! Hope to see some friendly faces down the front! David Byrne / St Vincent "WHO" from martin de thurah on Vimeo. Shame we're not there seeing as the summer has finally landed this week - Have fun yeah - and don't do anything we wouldn't do! Looking forward to seeing this tonight!